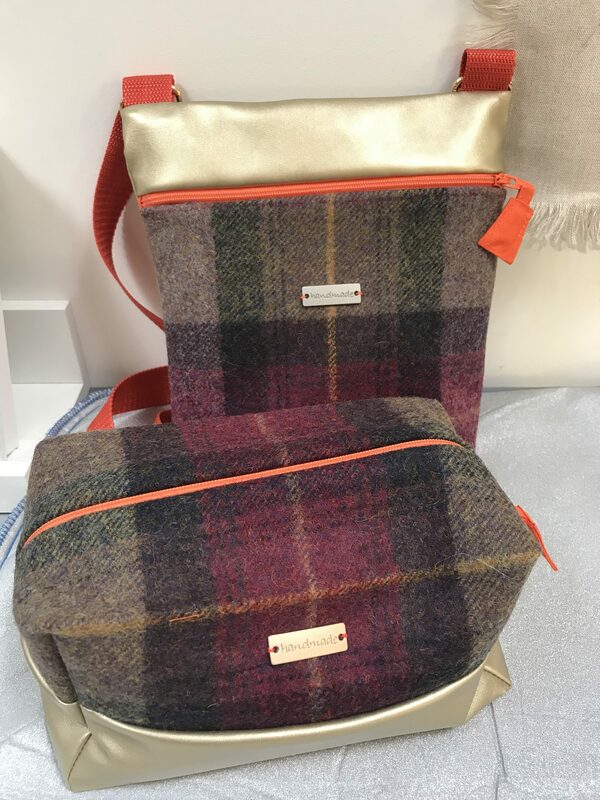 Construct these two stylish and practical Harris Tweed bags in one day with Amanda Walker, our resident fabric construction guru and all round great talent. Harris Tweed and metallic leatherette combo- whats not to love! Spend a day constructing not one but two fully lined bags with Amanda, complete with zips, metal hardware and canvas shoulder strap. One makes for a perfect make up bag as she provides the option of waterproof lining – the other is a cross over bag, perfect to hold your phone and purse. 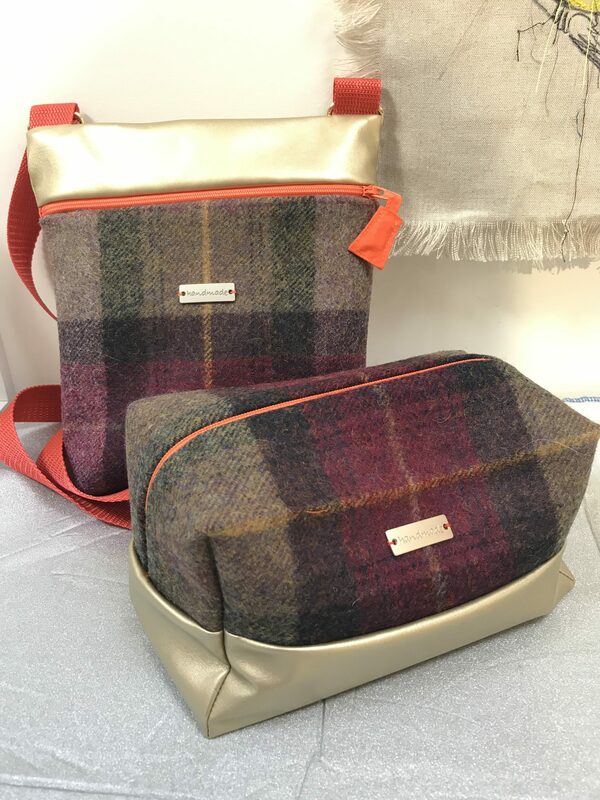 Amanda has made it easy and provides a choice of either silver or gold leatherette to combine with the tweed as pictured. All materials and patterns are provided but you are welcome to bring your choice of tweed to go with your favourite jacket! Suitable for beginners to more experienced on the sewing machine. You will need to bring your own machine. Please bring £7 for Materials. Teflon foot if you wish to work with a waterproof fabric. If you want to bring your own fabric/tweed youll need 30cms and the whole width of fabric so you can centre the check/pattern. bring machine with normal presser foot. Bring own tweed if you wish.